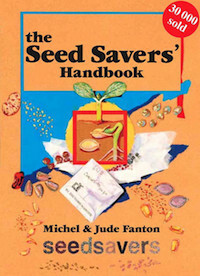 The Mid Blue Mountains Seed Savers will be running a workshop in the new year on 19 Feb 2017. This workshop will cover the general aspects of growing plants in the Blue Mountains for the purposes of saving your own seed. We will also have some more specific workshop information sessions on different plant groups such as leafy greens, beans & other legumes, brassicas, tomatoes and more. The workshop will primarily be focussed on edible or culinary plants and herbs but we do have members who grow for flowers, medicinal and other uses. We will also have a selection of seasonal seeds, plant cuttings and divisions available – some commonly available & some unusual plants. There will be a panel open question & answer session and time to talk to others and share stories and growing tips. The workshop will be useful to both beginners and those with more advanced experience. This is a great opportunity to talk to other people growing and saving seeds in your local Blue Mountains area. Call 02 47591770 to let us know you’re coming or to preorder a hamper. Please bring your own picnic lunch or purchase a hamper from PanTree produce next door to the Lyttleton Gardens. Mid Blue Mountains Seed Savers are a small but keen group of gardeners dedicated to growing as much of our own organic produce as possible, using locally saved open pollinated seed varieties. We are primarily interested in saving and swapping seeds and other propagation material for plants that will grow in the member’s local area – which covers most of the Blue Mountains to the west of Sydney. Yes – we must get some printed up!